Home > Financial News. Simplified. > Which Mutual Funds To Invest In Via SIP, For Long Term Financial Wellbeing? Congratulations on deciding to invest in mutual funds via a Systematic Investment Plan (SIP)! Now comes the hard part — how do you pick the best mutual funds for SIP? Don’t worry, you are not alone. Every day hundreds of investors, like you, are seeking the ‘best sip plans’ or the ‘best mutual funds’ on Google. After understanding the benefits of mutual funds, newbie investors look for the best mutual fund schemes. But, buying into a mutual fund without understanding how it fits into your whole financial future is a common newbie mistake. Most websites that come up on the Google search engine usually provide a list of top mutual funds in India solely based on their past performance. Little do nascent investors know that tracking past performance can be misleading. Mutual Fund schemes need to be ranked based on both quantitative and qualitative parameters. While the quantitative factors delve in past performance and risk-return metrics, the qualitative aspects rate the fund manager’s experience, investment systems, and processes, among other things. By adopting this multipronged approach, you will have a list of top funds that have not only done well in the past, but those that have robust investment systems and risk management techniques in place. Again, shortlisting the best mutual funds is just the first step of the investment process. You then need to find out which are the right funds as per your risk tolerance, your financial goals, and your investment horizon. Most savers often overlook the second part, but in fact, it is the most important. Broadly, your risk appetite can be categorised as High Risk or Aggressive, Medium Risk or Moderate and Low Risk or Conservative. Based on this, you can decide in which type of funds you can invest. What is risk profiling? How can you understand your own risk profile? Now that you have understood the kind of risk you can digest, let us look at which type of fund you should choose based on your risk-profile. You may be able to take on high risk, if you have age on your side, a steady source of income, and financial goals that are five years or more away. For such investment goals, you can invest in value funds, multi-cap funds, flexi-cap funds, and opportunities funds. These categories of funds will provide an adequate mix of stability and growth. Value funds and multi-cap funds invest in a mix of mid-cap and large-cap stocks, while flexi-cap and opportunities style funds hold a mandate to invest across market capitalisation and sectors. Even though mid- and small-cap funds are suitable for your profile, with valuations stretched, these funds pose a high downside risk. You should be cautious of the higher risk in these funds. But if you have long term goals that are over a decade way, you should consider these funds as a part of your portfolio. Taking the SIP route enables you to average out your buying when markets drift down and compound your money when markets scale up. Choose funds with an established record of delivering superior risk-adjusted returns. If you have a moderate-to-high risk profile and an investment horizon of over five years, opt for large-cap funds or balanced funds. In times of high market volatility and chances of a market correction, large-cap funds and balanced funds are better equipped to withstand a selloff. If you are new to the world of equities, then you should get started with balanced funds (now to be renamed as Aggressive Hybrid Funds). About 65-70% of the assets are invested in equity, with the balance invested in debt. A combination of these asset classes offers a high level of diversification, hence, lowering the risk as compared to a pure equity fund. For a newbie investor, such funds with a lower equity exposure can offer several benefits. You get the benefits of both worlds—equity and debt—in a single fund. Balanced funds have the potential to deliver inflation-beating returns, while keeping the risk in check. If you have a low risk appetite and an investment horizon of less than five years, you may want to avoid equity-oriented funds altogether. You could find it difficult to deal with the high market volatility. 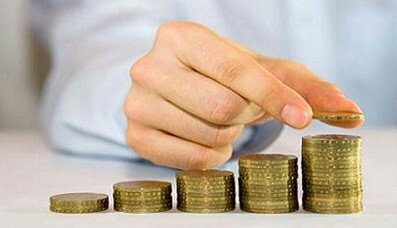 However, in order to earn a decent return on your investment, consider debt funds. If you have an investment horizon of over three years, you can consider short-term funds or dynamic bond funds. Considering bond yields are trending up with expectations of an interest rate hike, it is risky to invest in long-term debt funds now. If volatility is not your friend or if you have an investment horizon of less than three years, then liquid funds or ultra-short term funds (liquid plus funds) will be an apt choice. These funds will earn you returns in the range of 6-7% (pre-tax) with extreme low volatility. As the volatility in debt funds are low, the effect of rupee cost averaging through SIP is muted. Nonetheless, investing in debt funds through SIP will certainly keep your savings plan on track. If you are unsure about which mutual fund schemes to invest in, try PersonalFN's unbiased mutual fund research services—Mutual Fund Research. Along with quantitative parameters such as performance, PersonalFN also considers qualitative parameters such as portfolio characteristics while analysing mutual fund schemes. If you prefer doing your own research, download PersonalFN’s FREE Guide: 10 Steps to Select Winning Mutual Funds. The guide will help you select winning mutual funds and build a solid portfolio. PersonalFN understands that not all investors are equipped with the know-how to select the best mutual fund schemes for their portfolio. One would have to spend hours analysing mutual fund schemes to arrive at the right list for them. Thus, PersonalFN saves you the trouble and does all the tedious number-crunching work for you. SIP is only a method of investing in mutual funds. To support this investment method, you also need to pick the right mutual funds. PersonalFN offers a report titled "The Super Investment Portfolio – For SIP Investors. You can read more about the report and the subscription details here: The Super Investment Portfolio – For SIP Investors. Don't miss out on special discounts. Subscribe Now!